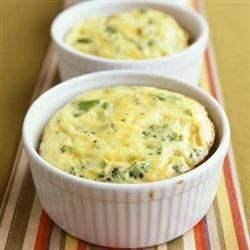 "A simple quiche that doesn't require a great deal of time to prepare but still has good flavor." Grease a 10-inch pie dish. Melt butter in a skillet over medium heat; cook and stir sliced mushrooms until tender, about 5 minutes. Drain excess liquid, if necessary; set mushrooms aside. Place sour cream, eggs, Parmesan cheese, flour, cream, onion powder, garlic powder, salt, and hot pepper sauce in a blender; blend until smooth, 30 seconds to 1 minute. Pour egg mixture into a large bowl. Stir mushrooms, spinach, and Cheddar cheese into egg mixture. Pour into prepared pie dish. Bake in the preheated oven until lightly browned and a toothpick inserted into the middle of the quiche comes out clean, about 45 minutes. I made it as written, and while edible, I found it a little too sour (as in sour cream). I used low fat sour cream, so perhaps if I had used regular sour cream it would have been better. My husband and I thought this was delicious! It was certainly easy. None of my kids would try it however, but I don't know why.